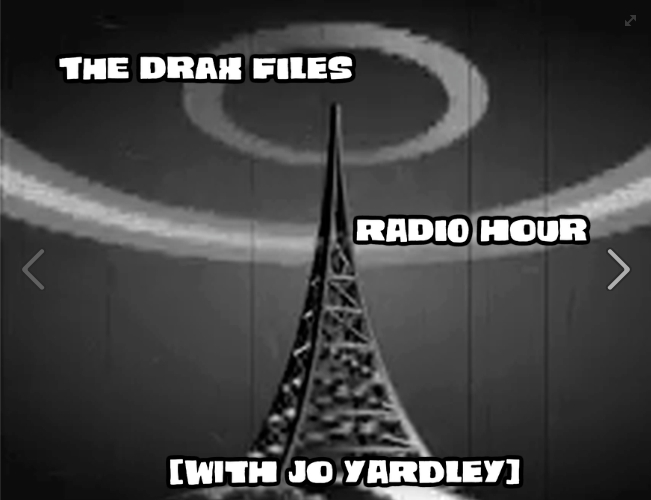 Episode 19 of the The Drax Files Radio Hour is largely devoted to the recent transhumanist-focused Back to the Future of the Metaverse. As well as being available on the show’s website and on Stitcher, the show is also on YouTube, and it is to that recording (embedded at the end of this article) any timestamps given in the text refer. The show starts with a brief discussion on ways to help journos better present Second Life, with Jo having uploaded images of her 1920s Berlin Project to Wikimedia and as a part of a Wikipedia page on the project. Leo Sun, writing for Motley Fool, picked-up on one of Jo images, together with one from the Lab, which was used in an article reflecting upon on the Facebook / Oculus VR vision of a billion-user “MMO”, thus suggesting putting out information and (particularly) good quality images that are readily available for re-use, copyright-wise, may be a way of raising SL’s visibility. If you have a question you’d like to put to one, some or all of the panel, please leave it in the comments section at the end of this announcement. 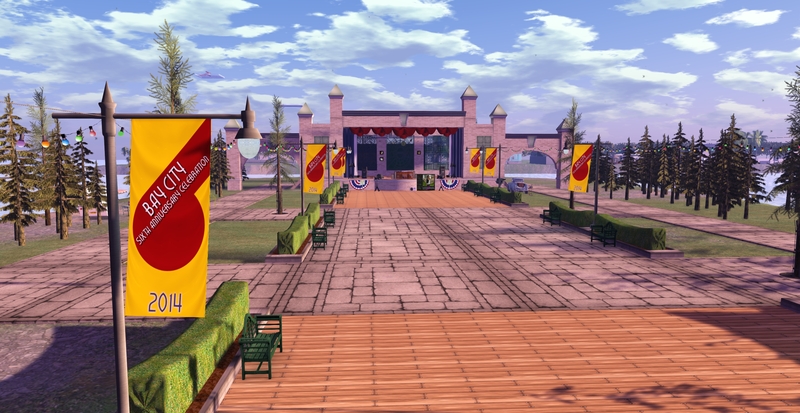 The main thrust of the show however, is a look at the aforementioned Back to the Future of the Metaverse event, which took place on Thursday, May 15th, albeit it not without technical issues. An event organised by the Skefi’a online science/fiction magazine, led by Giulio Prisco (SL: giulioprisco), it was billed as a discussion of “the VR renaissance outlined in Back to the future in the Metaverse”, an essay by Mr. Prisco, published by Skefi’a on April 22nd. On hand at the event were a number of speakers. Unfortunately, issues with SL meant things did not go as planned, and activities had to be hastily decamped to Google Hangouts, where only a subset of the participants were able to be involved in activities. Two of these were Philip Rosedale of SL and High Fidelity fame and Stephen Larson, CEO of MetaCell and a co-founder and the project coordinator for the OpenWorm open science project, both of whom feature in this podcast. A full video of the event is available on YouTube, with Philip Rosedale initially speaking between the 0:07:00 mark and the 0:09:50 mark, prior to the move to Google Hangouts, with his presentation resuming at the 0:21:55 mark following the move. The Radio show’s coverage of his presentation starts at the 8:20 mark in the podcast, and begins at the point where things have been picked-up in Google Hangouts. For those who have been following High Fidelity and recent blog posts Mr. Rosedale has made, together with his presentations at events like the SVVR meet-up in March, and his VWBPE keynote, there is little of additional note in what he has to say in the roughly 12 minutes in which he speaks or in the Q&A session which follows. 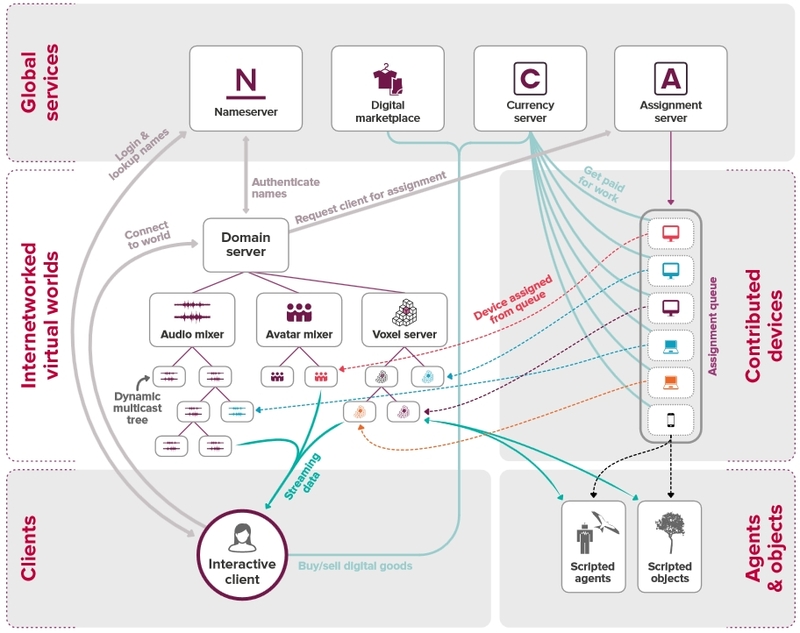 As well as re-treading some of the work High Fidelity are doing, and their approach to a distributed computing approach to virtual environments, he again re-states his belief in technology – and the removal of the keyboard and mouse – as being the single key required to unlock the doors to the mass adoption of virtual environments. With Shandon Loring at Lighthouse Point in the Seanchai region on Kitely. 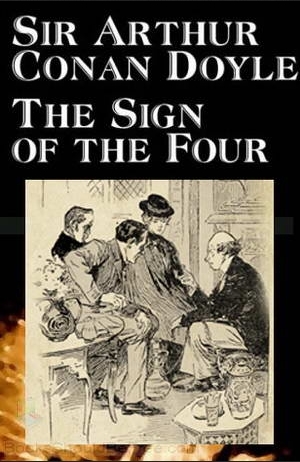 Tea-time at Baker Street sees Caledonia Skytower, Corwyn Allen and Kayden Oconnell open the pages of the second full-length novel by Sir Arthur Conan Doyle featuring Sherlock Holmes and John Watson, which was originally published under the title The Sign of the Four. In 1888, Mary Morston come to Sherlock Holmes seeking his assistance in two matters. The first is with regards to her father. Having returned safely from India in 1878, Captain Arthur Morston had arranged to meet his daughter at the Langham Hotel, London – but he had vanished from the hotel prior to ber arrival, and no trace of his whereabouts has ever been discovered. The second relates to a series of pearls he has received, at the rate of one a year, every year, from 1882 onwards. The pearls started arriving after she had responded to a strange newspaper query inquiring for her, and the last one had come with a letter, indicating she had somehow been wronged, and asking to meet with her. Gyro Muggins completes his reading of Theodore Sturgeon’s 1946 classic short story. Join Caladonia as she completes her reading of this lighthearted tale of eccentric, endearing characters, engaging illustrated by K. G Campbell. From the pages of Greek mythology come Scylla and Charybdis, two immortal and irresistible monsters who beset the narrow waters (though to be the Straits of Messina) traversed by the hero Odysseus in his wanderings as described by Homer in his epic Odyssey. Scylla, a supernatural creature, with 12 feet and 6 heads on long, snaky necks, each head having a triple row of shark-like teeth, was once human in appearance, according to Ovid. Her transformation, he claimed within his Metamorphoses, was the result of jealousy and witchcraft on the part of Circe. 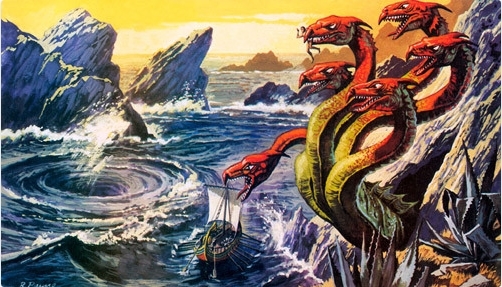 Charybdis, on the opposite shore of the narrows, was said to lurk under a fig tree and drank down and belched forth the waters of the straits three times a day. The shipwrecked Odysseus barely escaped her clutches by clinging to a tree until the improvised raft that she swallowed floated to the surface again after many hours. Join Shandon Loring as he takes us, as the saying goes, “between Scylla and Charydbis”. 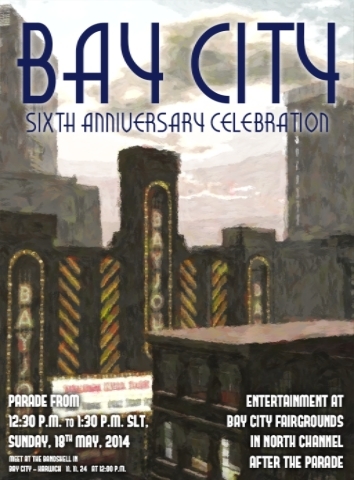 Bay City celebrates its sixth anniversary on Sunday May 18th, and the Bay City community is marking the day with a another special time of festivities and fun to which everyone is invited! Activities will kick-off at noon SLT with a parade lineup at the bandshell in Bay City – Harwich. At 12:30 SLT, the parade will make its way down Route 66, and proceed to the Bay City Fairgrounds in the North Channel region. A live concert will kick off at 13:30 SLT at the Fairgrounds, featuring Christov Kohnke, Ultraviolet Alter, and Winston Ackland. Bay City’s own GoSpeed Racer of KONA Stream will be providing music leading into the event. All Residents of the Second Life grid are invited to participate. Posters, banners, parade float bases, and other goods are available at the Bay City Community Centre, in the Daley Bay region, for those who wish to be a part of the parade, and a viewing area is provided. The music event is also open to all who wish to attend. In real life, Winston’s career spans two decades, and you may have heard his cover of Lithium in the movie Marley and Me, while his version of Psycho Killer was featured in Oliver Stone’s Savages. Musician and artist Ultraviolet Alter is known throughout Second life both her distinctive musical compositions and for her numerous collaborations with other SL artists. she has participated in many events across Second Life. 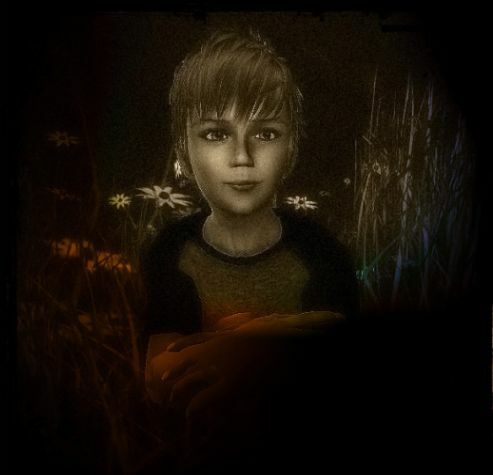 Bay City’s 6th anniversary is dedicated to the memory of Bay City and Second Life resident, Ever Dreamscape, who passed away recently in real life. Ever had been an enthusiastic and active member of the Bay City community since she first came to Bay City in 2011. She was editor of the Bay City Post, and played a part in helping to organise many of the community’s events, including these 6th anniversary celebrations, prior to her passing.